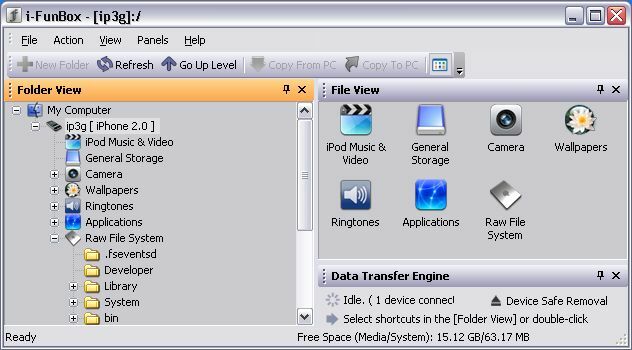 iFunBox is an iPhone file browser for MS Windows. It is quite useful. I use iPhoneBrowser tool, and this one I like very much. It is free, download iFunBox V0.6.199.35. can i back up file from system application? i tried copying it to pc, how do i copy it back to apple devices?